Dead Rhetoric: Therion has been your life’s work and main priority for years. 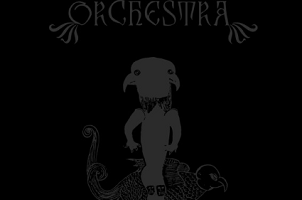 You’ve been a part of other bands along the way, but what sets Luciferian Light Orchestra apart? Christofer Johnsson: That is it’s a band I write the songs for and produce in the studio, but don’t participate with live. At least not up ‘til now. It’s great be able to watch the show of a band you’ve created, actually. Dead Rhetoric: With the last Therion full-length now over four years old, how much material have you accumulated? Johnsson: We’re right now recording a 3.5 hour-long rock opera. Dead Rhetoric: To that point, is it now more difficult to determine what is a Therion song and what is a LLO song? Johnsson: Up ‘til now no, as all songs brought to LLO were all songs left out from Therion. So they pretty much sound like a vintage version of the scaled-down core of Therion songs. For the next full length, I think the songs will be more diverse, as I now have a vision for it, not just writing songs. 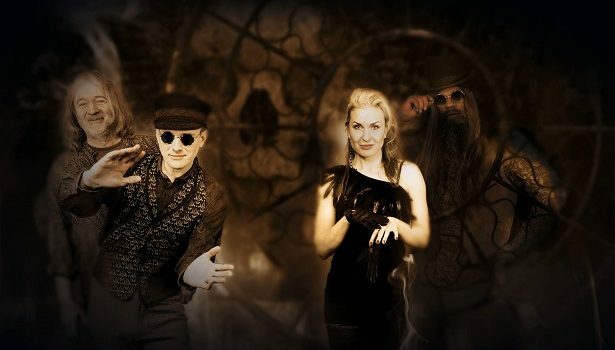 Dead Rhetoric: Like Therion, you are working with an assortment of musicians. Being that you’ve worked with so many, what’s the criteria for someone to work with LLO and/or Therion? Johnsson: That they are responsive and musically able to manifest my visions into real music. A fundament of genuine musical/vocal skills is of course the main thing, but in the long run a musical personality determine if you are just another skilled person making music or if you are also able to participate in and contribute to something original that deserves to be remembered. That goes for everywhere, but is a key factor in how I determine if someone is right for me or not. Passion and a developed musical personality (character) is what I love in an artist. Dead Rhetoric: As a songwriter, what’s the biggest opportunity LLO presents? Johnsson: To have a medium for recording and releasing songs that otherwise would have been collecting dust on the shelf. I have tons of leftover songs that don’t deserve anything better than an eternity the shelf, but the LLO songs really earned themselves something more than that. Their only error was sounding too vintage. Dead Rhetoric: The Black EP sounds vintage, but it doesn’t feel like a rehash. Do you keep tabs on the influx of retro rock bands who have come into view in recent years? Johnsson: Yes, I listen to some of them. That is totally my type of music. I particularly like Purson, a fantastic band, even though the band members unfortunately seem to be a bit arrogant! It’s because of that wave of bands that I actually got the idea to put the band together. Before I was thinking “Who would be interested in songs sounding like that?” and didn’t want to release something just milking the diehard Therion fans. 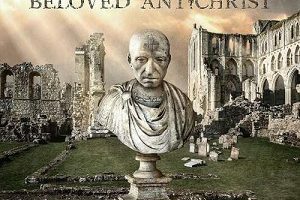 When I realized some years ago there all of a sudden was an audience for this kind of music, I thought this may be an opportunity to release it and have it introduced to an audience who may be interested in it even if they don’t like Therion. Dead Rhetoric: A lot of the songs on the EP were originally intended for Therion. Is there any material around written solely for LFO? Johnsson: None of the songs recorded by LLO have been intended for the band when they were written, they have mainly been take out of a pool of unused songs I wrote from 1995-2013. Normally I use all good songs I write for my main (and for most of the time my only) band Therion, but if the style is not what I have in mind for Therion, then they get shelved. With the exception for two songs, “Serpent Messiah” and “Thunder Perfect Mind.” They were picked as Therion songs and were recorded for a Therion album, but ended up as album outtakes for sounding too vintage for what I wanted at that time. So I decided to have LLO re-record the songs for the EP. Dead Rhetoric: You certainly have individual name recognition, but since 2014, you’ve gradually been building LLO from the ground-up. Is it more or less work than you thought? Johnsson: I knew that you don’t get as much for free from other successful bands you’ve been with as one may think. The advantage is that you are someone and it’s easier to get attention. But the downside is that many may not be interested as most second bands, side projects, solo albums, etc. are usually crap and often just a way trying to cash in. In the end, there are just few diehard fans of your main band that will buy anything you release just for the sake of it. Most people buy an album if they like it, so one has to make people understand it’s a serious and good band that they should give a fair chance. And people who don’t like your main band may dismiss it without hearing it. I understand that, I’m the same way myself. So that’s another threshold. So all in all, one can say that you get a small kick start from the contacts and name you already have in the music business–you get noticed for doing something and it’s easier to get a record deal. But to actually sell the album, I think the two sides of the coin take out each other, so that there is no way around the hard regular way of promoting your album and persuade people to buy your album with the sound of your music. Metallica have sold 110 million albums. Many of your friends have one or a couple of them. Ask those friends if they also have an album by Metallica ex-bass player’s [Jason Newsted] band Echobrain that made three releases. It’s highly unlikely as the band didn’t even sell 0.1% of what Metallica sold, even though being promoted on a Metallica DVD [Some Kind of Monster]. So everyone heard of the band at the time, but no one bought it, not because it was bad, but because it was different kind of music. That’s how it normally is when you start a new band that sounds different from what made you famous. “It’s a long way to the top if you want to rock n roll” goes for pretty much everyone in the end. Dead Rhetoric: Finally, what’s on your agenda for 2017? Johnsson: We’ll be busy with Therion all year, so LLO will have to wait until 2018 before we have time to record something. I already have six-to-seven songs suitable for LLO, so I think there should be enough material for a new full length album.